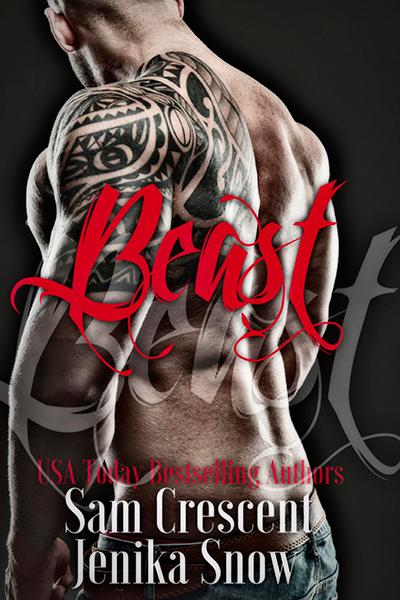 Bridget is in trouble, and knew the only person that can help her is Beast, a hardened biker she’s grown up with. He isn’t just a man, but a rough around the edges, dangerous and raw alpha that acts first and asks questions later. He is also patched in with the Soldiers of Wrath: Grit Chapter, a motorcycle club that does what it has to do to stay on top. But in order for Beast to help her she’s going to have to give something to him in return … her body. He frightens her, but also arouses her, and she knows being his means more than just surrendering herself. Can Bridget let go and submit to the biker, or is being Beast’s in all ways going to end up breaking her?